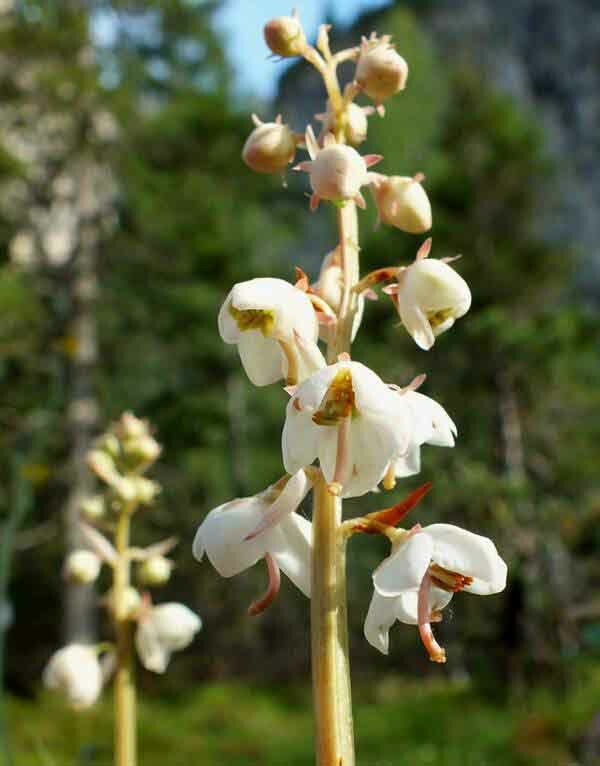 This wonderfully scented wildflower is becoming more rare and is in decline across its range. 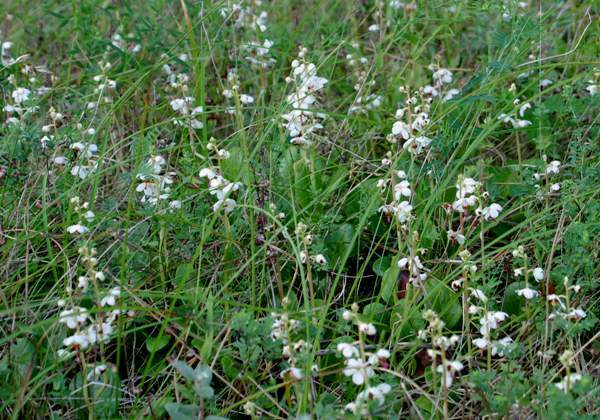 Round-leaved Wintergreen grows to a height of 10 to 30cm. Its hairless stems, sometimes red flushed, arise from a basal rosette of stalked ovate leaves. 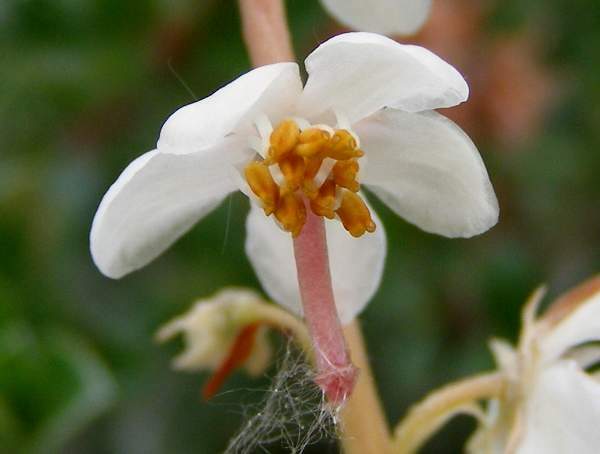 The nodding bell-shaped white flowers, in racemes of typically 6 to 10, have five petals; their protruding reddish styles are well separated from the orange anthers. 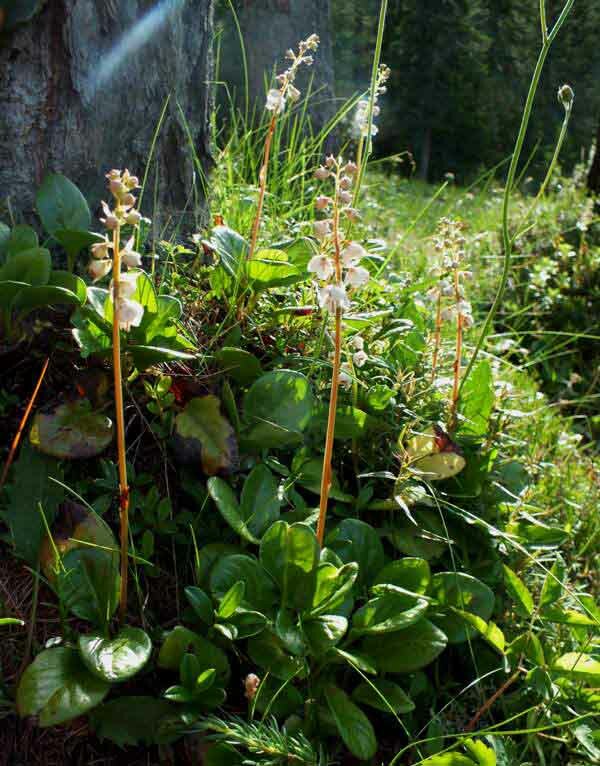 Round-leaved Wintergreen is very localised inBritain and is recorded from a very small area of Ireland. In Wales two good places to see this wildflower are Newborough Warren National Nature Reserve in Anglesey and Kenfig National Nature Reserve in the south. Newborough Warren, in particular, has fine colonies of this plant, while at Kenfig Round-leaved Wintergreen is extending its territory and the numbers of plants are increasing. This species is more common in many northern and central European countries including Slovenia and Italy. This plant grows on damp calcareous substrates, particularly in dune slacks, bogs, fens and in woodlands. Pyrola rotundifolia flowers from May right through to August. The common name Wintergreen refers to the basal leaves, which remain green throughout the winter months, while the specific epithet rotundifolia means 'with round leaves', a reference to the shape of the blades of the basal leaves. The plants shown on this page were photographed in northern Italy in June and at Newborough Warren National Nature Reserve, Wales, in July.